This one sounds freaking freaky!! I cannot wait to read this one! I might save it for October too!! Sooo excited for Colleen's new series!! Loved her Tiger's Curse Saga and can't wait for this new Egyptian themed series! Both of these books are new to me. They sound interesting. Hope you enjoy them. Not a chance will I read The Creeping, I mean I am a red-head just like the murder victim! Spooky! I keep seeing Reawakened around hope you like it! As someone who's really fascinated by ancient egypt's history I'm super excited for Reawakened! The cover is so gorgeous as well! The Creeping sounds amazing! I got chills just reading the synopsis! Definitely putting this one on the TBR. I haven't read anything by Colleen Houck but The Reawakened does sound like great start to a great series. I'm not sure if The Creeping is my type of read but I am so excited for Reawakened!! I haven't finished the Tiger's Curse series yet but I absolutely love Colleen Houck's writing and know that Reawakened will be amazing :) Thanks for sharing and stopping by! The Creeping sounds like it could be a great unsettling/twisty type read. Hope you enjoy both of these when you get to read them. The Creeping looks especially creepy, for lack of better words. But I'm excited to read it nonetheless. I have Reawakened! But not the other one. I hope you enjoy these books when you read them! That first one sounds so... creepy! lol I haven't heard of either of these but both look really good. Definitely adding them to my TBR pile. Great picks! Great picks-- hope you get a chance to read it soon. I LOVE Egyptian mythology, so I can't wait to read Reawakened! The other sounds SUUUPPPPEEERRRR creepy! I really like the look of The Creeping. Putting it on my list. I'm particularly intrigued by The Creeping . . . Yep, noted! I've never heard of either of these but they sound awesome^^ I also still need to read Houck's Tiger's Curse Saga, although I do own the first book in that series :) I hope you get these asap and that you enjoy both of them! The Creeping sounds, well, creepy! Sounds like a perfect book for October. I've seen Reawakened around before, and it does sound good. I hope you enjoy reading both of your picks! Thanks for stopping by My WoW. I was lucky enough to meet Colleen Houck at RT and when I asked her to sign my copy of Tiger Curse, she gave me an ARC of Reawakened! So exciting. The Creeping sounds really freaky, but I definitely want to try it! 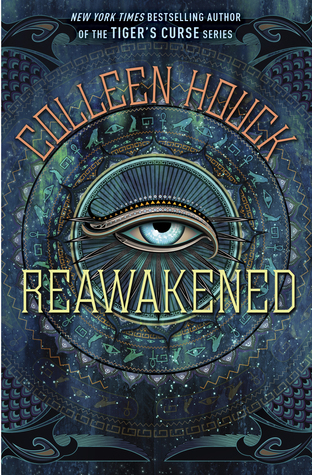 I have never read anything by Colleen Houck, but Reawakened may be how I stop that. It sounds great! The Creeping is on my list for future releases too! Between the cover and the synopsis, I'm basically giddy with excitement! I've never seen these books before, but the first one sounds and looks creepy lol. Hope you enjoy them both when they come out! Great pick! These seem interesting but not like reads I'd enjoy. Have a great week! 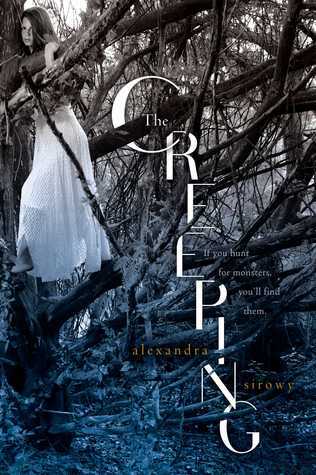 I will be adding The Creeping to my TBR list ASAP! Great picks! :) Thanks for stopping by my blog. Awesome picks, both look great! I shuddered looking at the Creeping book! Both of these sound great to me, especially The Creeping. Wow, that summary. I've added both of these to my list! Great picks. Oh my gosh I hadn't heard of either of these but now I NEED to read them, they sound so good! I had no idea Houck had something new coming out! Thanks for sharing and stopping by my blog! These are both new to me but they sound fantastic! I am especially curious about The Creeping. Definitely not my kind of reads, but they do sound good, and I hope you enjoy them on you get the chance to read them. Awesome picks, Jessica! Nice picks! Reawakened sounds interesting. thanks for sharing. Both of these are great picks! Liking the sound of them.